Registration is FULL. You may register to be on the waiting list. 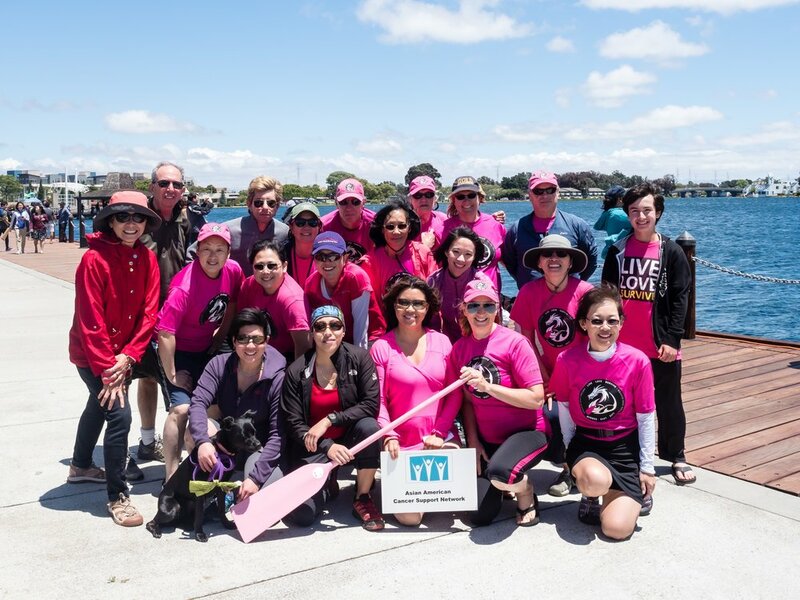 The Bay Area Dragons (BAD) presents the Bay Area Dragon Boat Novice Race (previously "Paddle for Life and Foster City Novice Dragon Boat Race") on Sunday, June 9, 2019 at the Leo J Ryan Park in Foster City, CA. New to dragon boat? This is your chance! This is a race for people who have no or little experience with dragon boat. Get your friends and coworkers together to join a day of paddling, food, and music! The race course is 300 meters long, and usually take less than 2 minutes to finish. All equipment provided and you get up to 2 free coached practices to get you ready for the race. Register today as spots are limited! What is dragon boat racing? A team race with long canoe-like boats with 20 paddlers + drummer & steersperson. Each heat is a sprint against multiple teams racing side by side and is typically completed in less than 2 minutes. It's fun with an adrenaline rush! What is a novice team? This is a novice race. Each member of the team can only have less than 10 practices in the last 6 months. Each team can have an exception of up to 2 experience paddlers. The minimum age is 12. You need 18 to 20 people to form a team (not including the drummer and steersperson). Of the team members, there must a minimum of 8 women. Drummers and steers persons will be provided to your team upon request. Can I try it out to see if this is for me? How can I form a team? Gather a group colleagues from your company or community organization. Ask your organization to fund as a team building event or collect from individuals. Or get a group of friends together for a fun activity. The race organizer, Bay Area Dragons, is a 501(c)(3) foundation and your entry fee is tax deductible (Tax ID 94-3308173). Can I participate if I'm not part of a team? We are not accepting individual registrations. Contact us if you would like to participate and we will make a best effort to pair you up with a team. How does our team practice? Practice sign-up and info will be sent out to registered/paid teams after April 19th. You will be able to reserve 2 practice sessions during the weekends prior to the race at the practice site in Foster City, California. What happens on race day? Race day starts at 8am and races run from 9:30am to 3pm. Each team races 3-4 times with divisional finals where teams will have a chance to win medals. You will get a designated area to camp and it's suggested to bring your own canopy tents, chairs, snacks, and drinks. 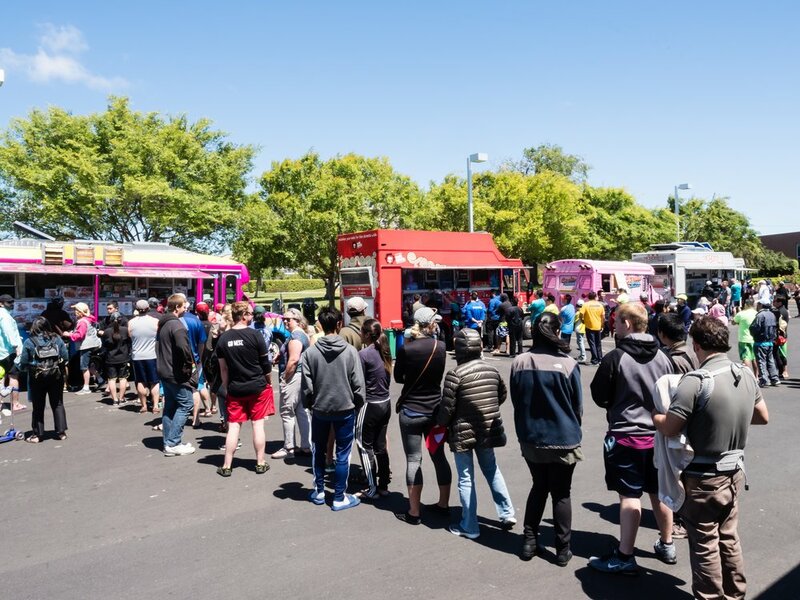 We plan to have food trucks during lunch and there is a Safeway and a few restaurants across the street. All racing equipment is provided. Wear layered clothes and you will most likely get slightly wet (splashes) during the race. A detailed race day information will be provided prior to race day. What's the history of the race? The race began as ‘Paddle For Life’, a charity race organized by the Bay Area Dragons (BAD), a local team based in Foster City. Its goal was to introduce the sport of Dragon Boat to beginners and newcomers while giving back to local charities for cancer. Paddle for Life ran successfully for 10 years until 2010, when it was subsequently moved to other states. In 2014, BAD decided to revive the race in Foster City to build a novice circuit for the beginner and corporate teams of the local community. The Bay Area Dragon Boat Novice Race is a fun opportunity to encourage team building, get active, and meet people in communities across the Bay Area! Race registration is FULL. Fill out a registration form if you would like to be put on a waiting list. LIMIT IS 2 TEAMS per company. If you want to register more than 2 teams, you will be put on a waitlist until after April 19th. All members can only have 10 practices or less in the last 6 months to be eligible to race. The minimum age to paddle is 12. We donate a portion of the race fees to charities and they are 100% tax-deductible (Tax ID 94-3308173). Maximum number of teams will be capped at 36 teams. Last year there were 8 teams waitlisted. Don’t wait too long to register! For each company, please register 1 team first. Multiple entry registration will open on March 15 if you have another team. If you’ve registered 1 team early, your second team will still get the early bird discount. Each team needs to have 20 paddlers, with a minimum of 18 paddlers to race on the boat. Each boat must have a minimum of 8 women. Each team will receive 2 mandatory practices. A 3rd optional practice will be provided based on availability (after all teams have signed up for their 2 practices). You need 18 to 20 people to form a team (aside from the drummer and the steers person). There must be least 8 women. We will provide a steersperson (Bay Area Dragons certified only). A drummer will be provided as needed. We strive to keep team registration fees as low as possible. All team registration fees are tax-deductible donations and we donate part of the proceeds to Alzheimer’s charity. This is a fun, exciting novice race for wellness and for charity! Perfect for a company team-Building program, great for corporate PR, and a wonderful way to kick off your summer! Come race on our beautiful lagoon race course in Foster City! Sign up to receive the latest race updates. We respect your privacy and your email will not be shared with other 3rd parties. We are Bay Area Dragons. If you have questions, contact us!